Dr. Bass is very friendly and professional and extremely knowledgeable in his field. I highly recommend him as an OBGYN,I am 24 weeks pregnant and could not be happier and feel safer with my care. Dr. Bass is very friendly and professional and extremely knowledgeable in his field. I highly recommend him as an OBGYN, I am 24 weeks pregnant and could not be happier andfeel safer with my care. “I consider practicing medicine a privilege. My goal is to treat each patient with the most current knowledge and proven techniques available in a respectful, empathetic manner.” – Dr. Bass Robert J. Bass, M.D. has been board certified by the American Board of Obstetrics and Gynecology since 1994 and voluntarily recertifies on an annual basis. He is a distinguished Fellow of the American College of Obstetrics and Gynecology. Dr. Bass earned his medical degree from Wayne State University School of Medicine in Detroit, Michigan. He completed his residency in Obstetrics and Gynecology at University of Miami’s Jackson Memorial Hospital in Miami, FL, where he was chief resident of OB/GYN. After completing his residency, he served as medical director for Sunlife OB/GYN Services at Broward General Medical Center (BGMC) in Ft. Lauderdale, FL. BGMC is Broward's largest county hospital with over 3,500 births annually. “This experience proved to be quite rewarding, and gave me insight and comfort in handling many challenging obstetric situations,” says Dr. Bass. At BGMC, he also served on the Quality Assurance Committee for 10 years. Today Dr. Bass is a member of the Quality Assurance Committee at Plantation General Hospital, where he performs all his deliveries. 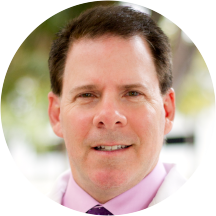 In addition, he is a certified physician trainer for Novasure® endometrial ablation, as well as a member of the BOTOX® Cosmetic Physician Network. Dr. Bass has also been an instructor of medical students and residents within the Department of Community Health and Family Medicine at the University of Florida School of Medicine, as well as at Nova Southeastern School of Osteopathic Medicine in Ft. Lauderdale, FL. An exceptional surgeon, Dr. Bass was recognized by the Society of Laparoendoscopic Surgeons when he received an achievement award for demonstrating the highest degree of skill and competence in operative laparoscopy. Health & Wellness Magazine, 21st Century Medicine for Today's Woman; Is Permanent Birth Control the Right Decision for You? I absolutely love this love this office. Dr. Bass was very professional and thorough. He heard my concerns and answered my questions in a very clear and easy to understand way. Dr Bass and his staff are amazing!!! Been coming here for 12 years and he’s delivered both of my children. Will never go to another OB/GYN ever! Like his openness and office manner. Easy to relate to. Dr. Bass is the doctor you've always dreamed of! He listens. He asks questions. He remembers mundane details about you that even you have forgotten about yourself! Dr. Bass is also the king of extremely quick, routine, monthly exams. It's donebefore you even knew it started! And I happen to greatly appreciate that! Extremely nice office personel. Dr was on point, made me feel at ease, was professional and knowledgeble. Great recommendations on treatment. Dr. seems to be very knowledgable. Great staff. Waiting time was about an hour from the time of my appt. But they went above and beyond what I was expecting. I love this doctor he is very personable. I have been seeing him for 5 years. The only problem is... Every time i am there i wait pretty much an hour to be seen even if i am on time (and that is not an exaggeration). As always Dr. Bass and his staff were excellent ! Short wait time. Listened to my concerns and answered all my questions. I love this office. The office staff is always warm and welcoming. Dr. Bass took his time to hear my concerns and together create a timeline to address everything. I always leave here feeling that I am a valued patient. Dr Bass and his entire staff are amazing !!! Been going here for 10 years now and I recommend him to everyone I know. Dr Bass is friendly, professional, and he truly listened to my problems. He also asked questions in order to get me to explain my problems more throughly, which I really appreciate. Previous OB-GYN's have made me feel that my problems aretrivial simply because I am not pregnant. Dr Bass did not at all take that attitude with me, nor did any of his friendly staff. I'm very happy to have found Dr Bass and his team! Dr. Bass' office is highly organized. I don't think I've ever waited longer than 30 minutes for my appointment time. Dr. Bass is very understanding and has a great "bedside" manner. Listens to all my concerns and has answers for me. Dr. Bass always provides personal attention, remembers past medical and family history and expresses concern for my well being. I have been going to Dr Bass for over 6 years. He is a very caring and knowledgeable Dr. He is amazing at what he does. Mentioned stuff no other Dr. Does. Just Great!!!!!! Would recommend to others. Very satisfactory; ample opportunity to discuss any issues before examination. Dr. Bass makes a gynecological visit as pleasant as it could possibly be. Great bedside manners and attentive. The reception area is difficult to get a hold of to schedule appointments and wait times typically exceeds half an hour but Dr. Bass makes it worth the wait. This was my second annual visit. Dr. Bass appears very professional, knowledgeable and attentive to concerns. He asks appropriate questions and makes recommendations. Front desk staff was competent and submitted bills for insurance processingwithout requiring a payment. Referrals were immediately available and printed for release. Overall, a very good experience. I like his professionalism that shows in his bedside manners, his knowledge and experience, the cleanses of his office, the friendliness of his staff. I really liked him and recommend him. Very busy OBGyn. I should have selected GYN only specialist. Long wait due to baby delivery. First time seeing him and I felt very comfortable. I was out of work less than an hour, and that included driving time. Dr Bass has a very well run office with great staff who got me in and out without making me feel rushed. He was my OB during my pregnancy and did my C-section. Great doctor. Very patient and answers all of your questions. Dr. Bass spent a total of ten minutes with me including my physical exam. I didn't think that was enough to thoroughly evaluate a new patient who was coming for an annual physical as well as an issue. I didn't feelhe cared to hear what I had to say. His office staff is very nice and quick. Everyone was nice and Dr.Bass shook my hand and took the time to answer my questions. Room was clean and my visit was pleasant. This was a great visit. Info was clear and professional, and not rushed at all. His staff is so warm and welcoming. Going into the office with a nerve-wracking issue they made everything light and pleasant. They made me feel like I was welcome and that everything would be ok. Dr. Bass is very knowledgeable andtakes his time explaining everything to you. If you have any questions he is more than happy to answer them and to reassure you of any worries. He did my C-section when I was having my son in January. I was nervous, especially just finding out that afternoon that I was going to have a C-section that evening and he made me feel better by reassuring me that everything was going to be ok and he was going to everything he could to make sure that my son and I were healthy. I recommend him and his office to everyone that I know that needs an OBGYN for any reason. Doctor bass always makes me feel comfortable . He's the only OB/GYN I would ever recommend to anyone in the broward area! Dr. Bass was great, this is my first pregnancy and he sat down and met with my Husband and I before the visit. Very kind and a nice guy in general, good bedside manner. Would recommend to anyone. Dr. Bass was incredibly kind and professional. He immediately sat down with me to go over my history, any concerns I had, and was incredibly positive in his demeanor. He was very personable and knowledgable and I never felt rushed duringthe exam. The office staff was also kind, and I was seen by a nurse within 5 minutes after my appointment was supposed to begin. There was a little bit of a wait after I was seen by the nurse, but I was in and out of the office in about an hour. I would highly recommend Dr. Bass and his team to anyone looking for kind and professional care. Now this is what all Drs office should aspire to. My new patient paperwork was completed online prior to my visit, so after I arrived a brief encounter to get a copy of my ID and insurance was all it tookbefore I was asked me be seated. As I picked up the magazine my name was called, amazingly I had a 1:45pm appointment and was seen at 1:45 (my last Dr had a standard 2 hour wait, she was always behind schedule). The customer service is top notch , my exam was done with care and at the end my prescription was sent to my pharmacy (really appreciate not having to go to the pharmacy myself). Overall a pleasant and surprisingly good experience.